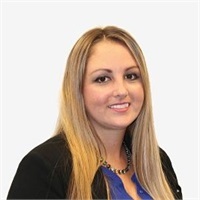 The Speakman Financial Group would like to introduce you to Jennifer and welcome the newest member of our team. She was born and raised in Pittsburgh, PA and resides with her son Brantley. She earned her Bachelor’s degree in Business Management at Slippery Rock University. She has also obtained her PA State Life Insurance licensing. Jennifer’s main responsibilities are preparing client summaries and balance sheets for client meetings. In her free time, she enjoys spending time with her family and friends, traveling, camping and fun outdoor activities.